6 Qualities of Potential Clients Who Are Not a Good Fit for BBCC? Why put together this list? Because we truly value your time. We want to have a powerful and awesome relationship prior to even meeting with you so this list helps you our potential clients determine if it makes sense or not to meet with us. If you would like to learn more or meet with us please let us know. Or request more info here. Here is also a link to our slideshare to learn more about BBCC. Otherwise, you’re at-risk to experience a negative Impact on your bottom line. It’s a fact that office cleaning impacts employee productivity. We’ve spent a lot of time going over the research. 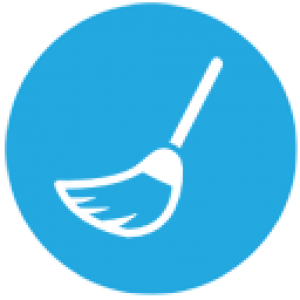 We’ve done some eGuides about the topic on office cleaning impacts on productivity, better business results and better net profits for businesses of all types. Presenteeism. I’m Here. But Not Really. Some employees feel obliged to stagger their way to the office – illness and all. But even a show of being a “trooper” isn’t always a good thing. Another very interesting finding from the ISSA study is how the impact of illness impacts the worker’s performance. And we would go a step further to suggest that their “not being there” in terms of energy and involvement can adversely affect everyone. Think about a group meeting. When all are engaged — ideas spark. When someone is coughing, sneezing, or obviously ill – it puts a damper on energy for all. Think of the ideas … solutions … new directions that your company can miss! All of the above clearly indicate how office cleanliness can have an adverse impact on your bottom line. If employees are not at their peak – neither is your company’s performance. If there is a culture that promotes attendance, even when ill – think about the potential negative consequences. Explore how your company/corporate culture may need revisiting. Are you promoting behaviors that may be hurting instead of helping your bottom line? Are you doing things to promote workplace and workspace cleanliness? Take time to walk through your office space and make quiet, unannounced assessments. DON’T make a big announcement. DON’T chastise. Observe first. Best of luck & success for 2016! P.S. Check out this page for eguides on how to create an RFP, choosing the right service and more. 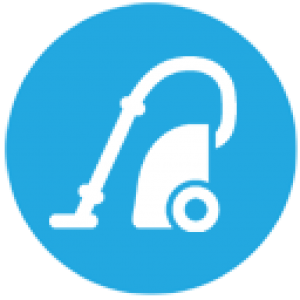 When you are looking to hire a cleaning company, you want the best deal, right? Reliable; efficient; thorough; knowledgeable about how to maintain and care for carpets, floors, furniture, windows, curtains, etc. so that they last a long time and look their best; responsive to your needs and any changes that occur over the years; friendly and collaborative; on time; and that their price is competitive and reflective of what they actually do for your organization. RIGHT? You can achieve quality, satisfaction, and reliability if you use an RFP to solicit bids – it will help you determine the true value being offered by a bidder, will help you compare bids accurately, and will help you identify your cleaning and maintenance needs in proper detail. And it enables you to confidently present your recommendations and assessments to the decision-makers in your organization. It puts you in the driver’s seat and helps everyone involved give you the information you need in a clear format. 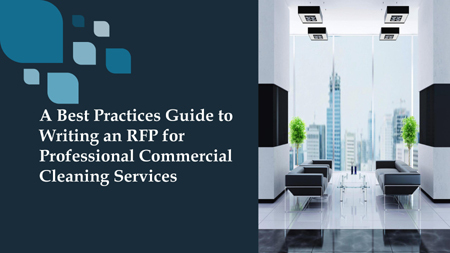 TIP: Download our eGuide on how to write an awesome RFP for Commercial Cleaning Services here. This eGuide will help you create an awesome RFP for Commercial Cleaning Services…the process to write an RFP for Commercial Cleaning Services can be time consuming but if you do it right you can develop a system to evaluate bidders, evaluate the service going forward and re use the document to evaluate your budget on an annual basis as well!